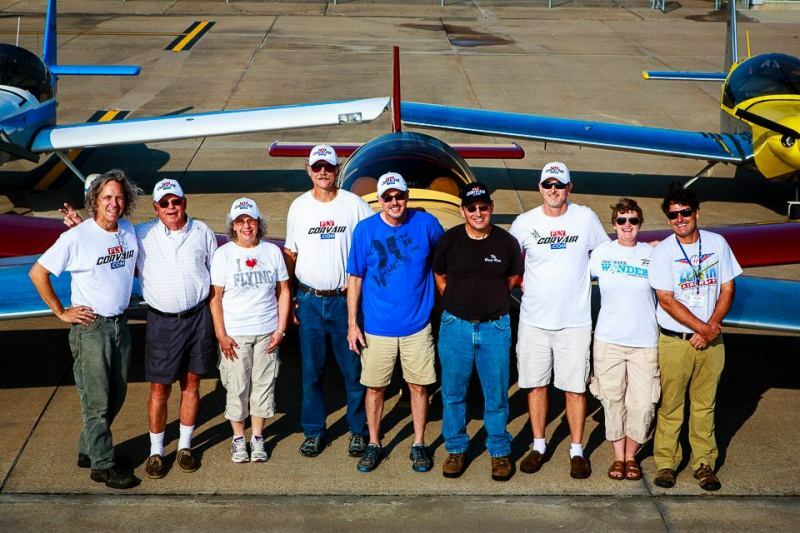 Above, The builders who flew their Corvair powered planes to CC##30/The Zenith open House at Mexico MO; Shane and Phylis McDaniels (2,700/650B, MO), Lynn Dingfelder, (2,700/601XLB, PA), Dave Gardea (2,700/650B, IN) Ron Lendon (2,850 /601XLB, MI) and Pat and Mary Hoyt (2,700/601XLB with 650 canopy, MN). The picture above captures all 5 aircraft on the ramp in front of the Zenith Factory at The Mexico MO airport. The builders are standing between myself on one end and Sebastien Heintz, president of Zenith Aircraft on the other. This was one of the moments that make years of work in the hangar a very good investment. We have just returned from 10 days in the field at the combined events of Corvair College #30 and the Zenith open house. We will be covering these in several stories over the next week. If you have an email into us, we will be getting caught up over the next few days. There are many good photos of Lynn flying his 601XL in the STOL competition. His combined take off and landing distance was 662′ This gave him 6th place overall against a field of 701s and 750s, but it was the best showing by a 601 or a 650, and is a good example that low wing Zeniths are short field planes in their own right. We are rapidly approaching the deadline for Corvair College #31 in Barnwell South Carolina, November 7th -9th.